The Brown Play School Run to Mama 5k Road Race is on May 19th! Check out our fundraising page for more details. 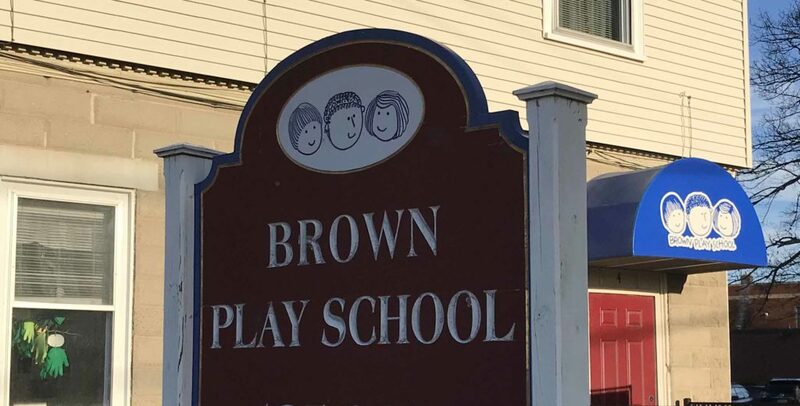 Founded in 1950 by members of the Brown University community, Brown Play School is an independent preschool serving three, four and five year-olds in the greater Providence area (Providence, Rumford, Pawtucket, Seekonk and Rehoboth). We are a partnership school where parents and families are encouraged to participate but are not expected to fulfill specific teaching duties. Just minutes from the east side of Providence in Rumford, Rhode Island, we offer a unique program that encourages children to be open-minded, creative thinkers who are intrinsically motivated and who will continue to ask questions and seek knowledge as they grow and mature. 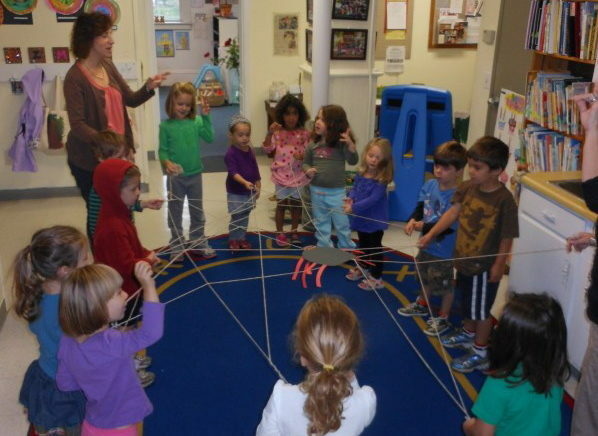 Our curriculum is based on the Reggio Emilia philosophy of child-centered play and learning. Art exploration is a key element of our school day and we have a dedicated, well-stocked art studio where our students create an impressive array of paintings, self-portraits (an annual tradition), clay sculptures, and much more. Our art teacher offers unique projects that far surpass the typical preschool fare. 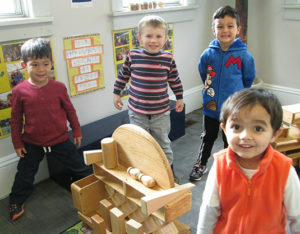 Brown Play School is divided into a wide variety of educational centers that rotate throughout the school year. Students also benefit from many special “extras” including our greenhouse, a large playground, yoga, woodworking, and music. Families select a 2, 3 or 5 day program for three year-olds and a 3 or 5 day program for four and five year-olds. The day can start as early as 8 AM, with pick-up options at either 11:45-11:55 AM for the regular day program, or at 2 PM for our “lunch bunch.” If you are looking for an extra-special preschool experience for your child, we encourage you to visit! Find out more about our school and our principles. 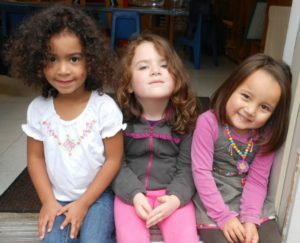 See what it means to be part of the Brown Play School community. Read reviews from previous students and families. Browse pictures of our students and their work.